The UK government is taking steps to enable a massive roll out of infrastructure to support the growth of electric vehicles (EVs). They have set out the ‘Road to Zero’ strategy with the aim to create ‘one of the best EV infrastructure networks in the world’. Although the number of destination charging stations is slowly increasing, did you know that 75% of EV users in the UK are currently unable to charge their car at work? The government are now offering grants to businesses to help them implement EV charging stations in their business and help to promote workplace charging across the UK. WHAT IS THE WORKPLACE CHARGING SCHEME? The Workplace Charging Scheme (WCS) is a government scheme offered by the Office for Low Emission Vehicles (OLEV). It is offered to businesses to support the upfront costs to purchase and install new workplace charging stations. Businesses can use the scheme to reduce these costs by up to 75% (capped at £500 per socket). Up to 20 charging stations can be claimed on the scheme, which can be either 20 single sockets or 10 double sockets. The business doesn’t need to possess an EV, however they must declare a current need for charging stations or an intention to encourage the uptake amongst employees or the business fleet. HOW DO YOU CLAIM FOR THE WORKPLACE CHARGING SCHEME? To claim for the Workplace Charging Scheme, businesses are required to fill out an online application. If they are successful, they will receive a voucher code which is valid for 120 days from the date of issue. 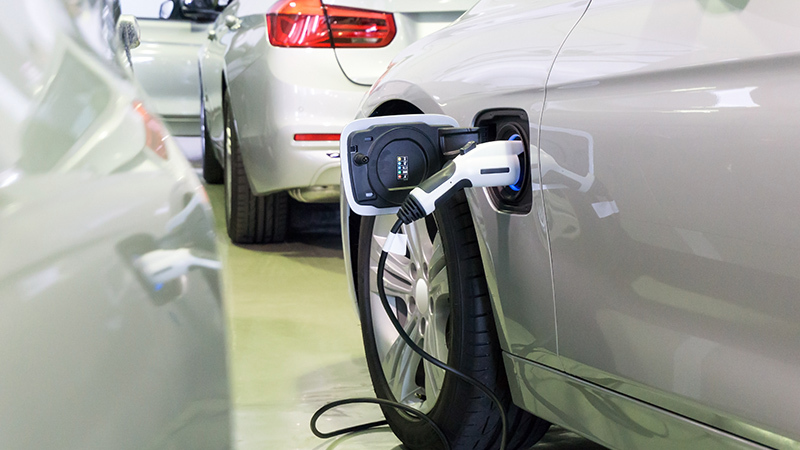 EV charging stations must be installed by an OLEV approved workplace charging supplier who must receive the voucher code before the installation begins. At Yü Energy, we have partnered with an OLEV approved supplier to ensure our customers can take advantage of the Workplace Charging Scheme. If you would like more information on workplace charging, then contact us on 0115 975 8258, visit our EV Charging page or download our guide.